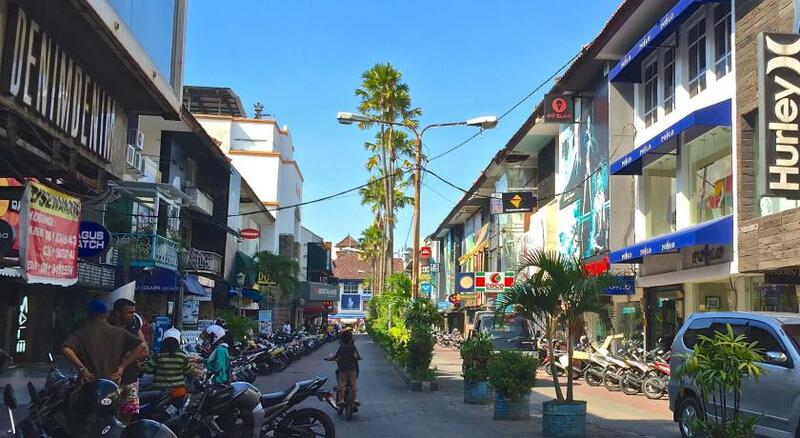 Lock in a great price for The Kuta Beach Heritage Hotel - Managed by Accor – rated 8.1 by recent guests! Really liked my trip to the hotel and even returned later in my trip. The rooms were lovely and comfortable and my request to have an outwards facing room was met. The hotel made arrangements for me to check in early. The staff were all very friendly and helpful. The pool is lovely and the the sun loungers comfy. Breakfast is also great. The staff was very friendly and helpful. The location is on the main drag right in from of the beach. 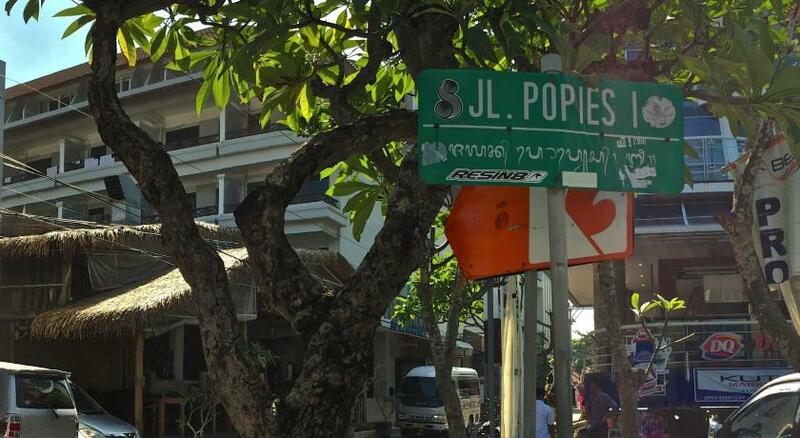 All hotels in Kuta are across the beach from the street, so this is as close to beach front property as it can get. Staff were nice and rooms and bed nice and spacious. The room is very clean, the bed is very comfortable. Staffs are very nice. The location was great. 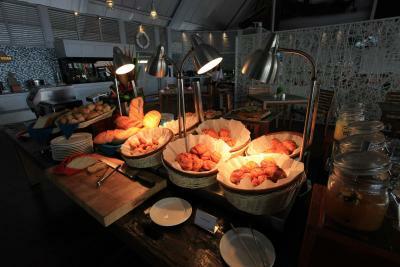 In general good facilities and friendly staff, rooms are huge. The staff was incredibly friendly and helpful. The room was amazing. 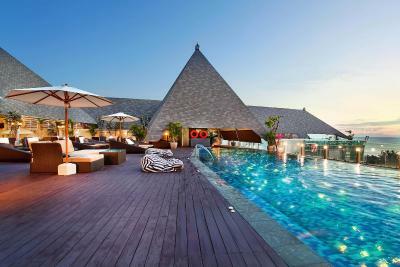 There is a nice roof top pool great for watching the sunset. 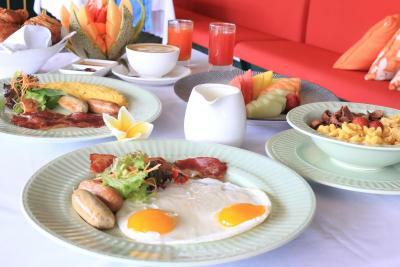 The breakfast is amazing. 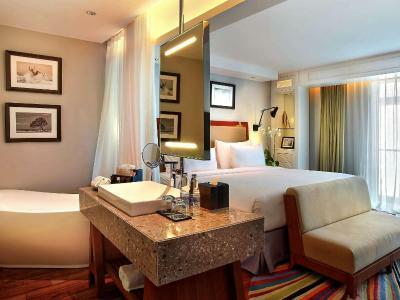 The Kuta Beach Heritage Hotel - Managed by Accor This rating is a reflection of how the property compares to the industry standard when it comes to price, facilities and services available. It's based on a self-evaluation by the property. Use this rating to help choose your stay! 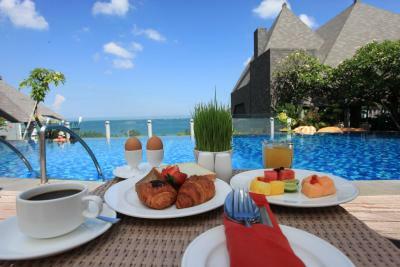 One of our top picks in Kuta.Conveniently located just across Kuta Beach, The Kuta Beach Heritage Hotel - Managed by Accor features well-appointed accommodations with an outdoor pool overlooking the ocean. 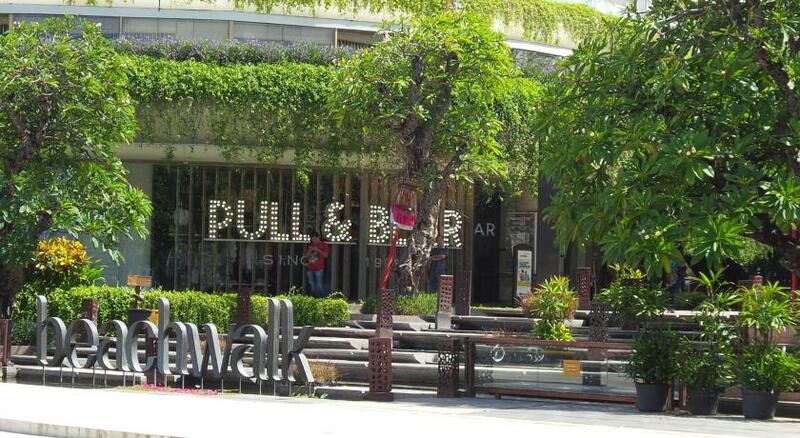 The nonsmoking hotel also houses a gym and provides free Wi-Fi in all areas. 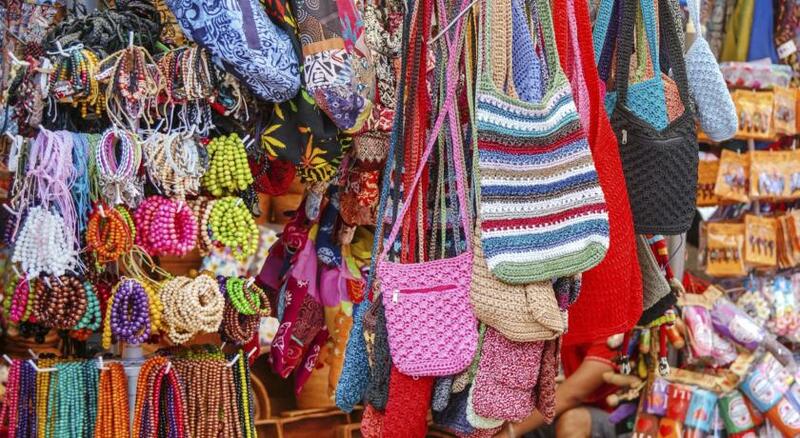 The Kuta Beach Heritage Hotel - Managed by Accor is just a 5-minute walk away from Kuta Square and Kuta Art Market. 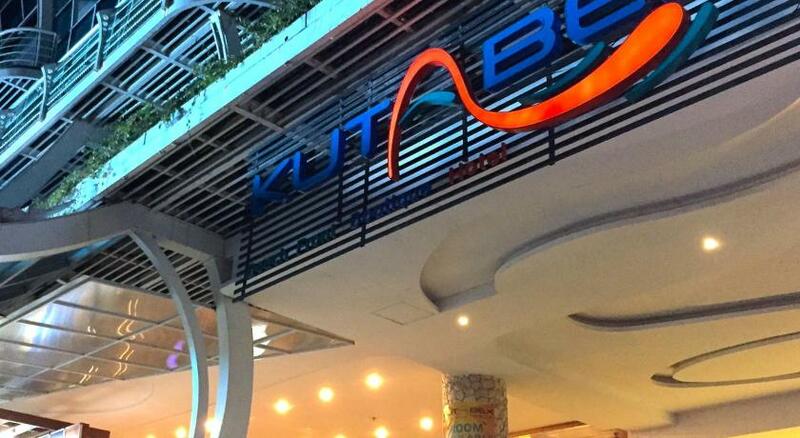 Ngurah Rai International Airport can be reached by a 15-minute car ride from the property. 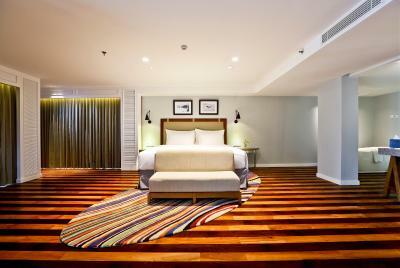 Spacious rooms are all equipped with a flat-screen cable TV, safety deposit box and a mini-bar. Free coffee and tea are provided daily. 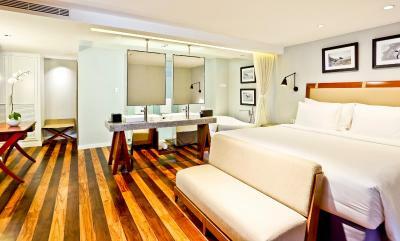 Select rooms offer views of the ocean and a private bathroom with a bathtub. For guests’ convenience, the hotel provides luggage storage facilities and free parking spaces on site. 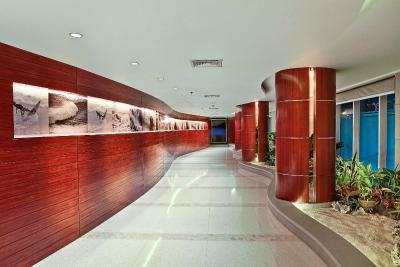 Airport transfers can be arranged at the front desk, while sightseeing arrangements can be made at the tour desk. 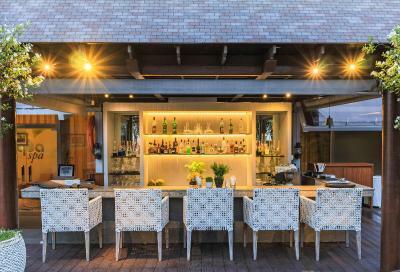 Blending contemporary design with fishing village-themed interiors, The Waves offers international menu. Guests can also dine in the comfort of their rooms. 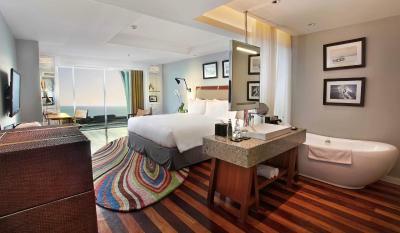 When would you like to stay at The Kuta Beach Heritage Hotel - Managed by Accor? This spacious room has a flat-screen cable TV, fridge and an electric teakettle. Private bathroom has a hairdryer, free toiletries and rain shower facilities. 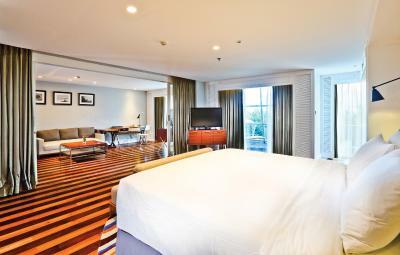 Overlooking the neighborhood, this spacious room has a flat-screen cable TV, fridge and an electric kettle. Private bathroom comes with a hairdryer, free toiletries and rain shower facilities. This room is more spacious. Private bathroom comes equipped with a hairdryer, free toiletries and rain shower facilities. 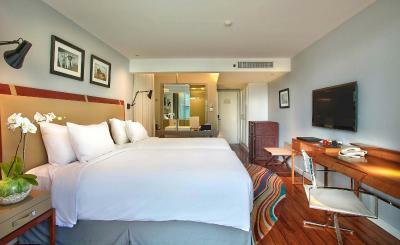 More spacious room featuring flat-screen TV, refrigerator, and mini-bar. It also has a coffee machine and a seating area with a sofa. Private bathroom comes with a bathtub. Guests enjoy daily stocked mini-bar. 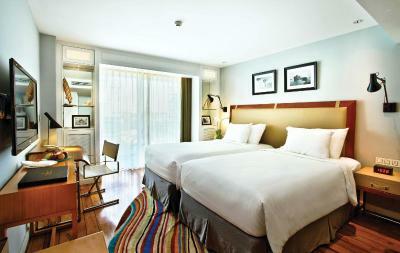 More spacious room featuring in-room safe, flat-screen TV, refrigerator, and mini-bar. It also has a coffee machine and a separate living area with a sofa set. It also comes with an private bathroom with a bathtub and an additional toilet. Featuring access to the small shared plunge pool, this air-conditioned double room has a flat-screen cable TV, an electric kettle and a personal safe. Private bathroom comes with a hairdryer, free toiletries and shower facilities. 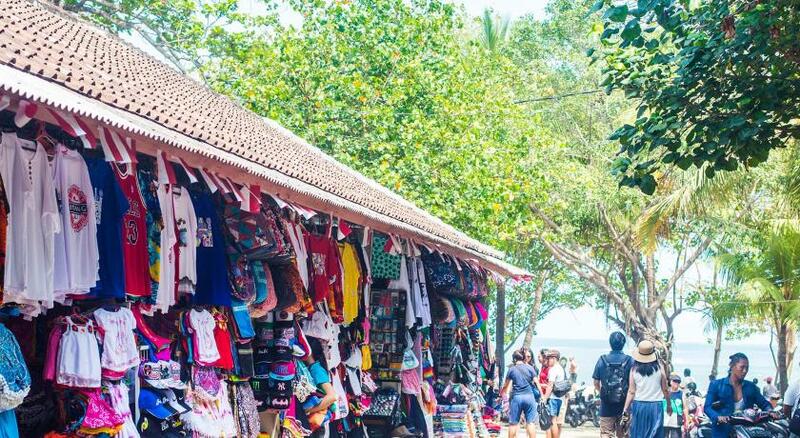 Stands close to the spot where the “Kuta Beach Hotel”, the first tourist resort on Kuta Beach which was built in the 1930‟s; the spirit of this pioneering venture will become a vital part of The Kuta Beach Heritage Hotel story. 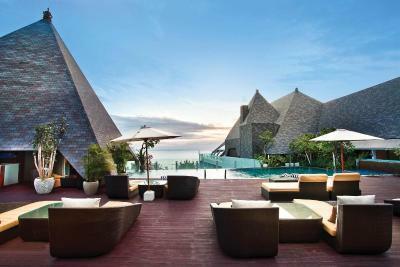 House Rules The Kuta Beach Heritage Hotel - Managed by Accor takes special requests – add in the next step! The Kuta Beach Heritage Hotel - Managed by Accor accepts these cards and reserves the right to temporarily hold an amount prior to arrival. Please note that the credit card used for booking must be presented upon check-in, otherwise the property may request that full payment is settled immediately with an alternative method. Any deposit paid will be refunded to the original card. 1. There is a bad smell in the hotel passages. The 2. The air condition and performance was bad. 3. The shower aucet is broken. The door on the bathroom didn't quite shut. One of the rooms I had faced inwards so no natural light. I booked a massage for an hour in the spa but it only lasted 45 mins. The staff, lack of staff at front desk, waiting time at front desk was horrible, reception was full of people waiting only one person working and very slowly, guests playing their boom boxes and own music at the pool, guest in pool talking and yelling, staff at the pool did not control these guests, had to call the manager to deal with the annoying guests. Nice sized clean comfortable room. 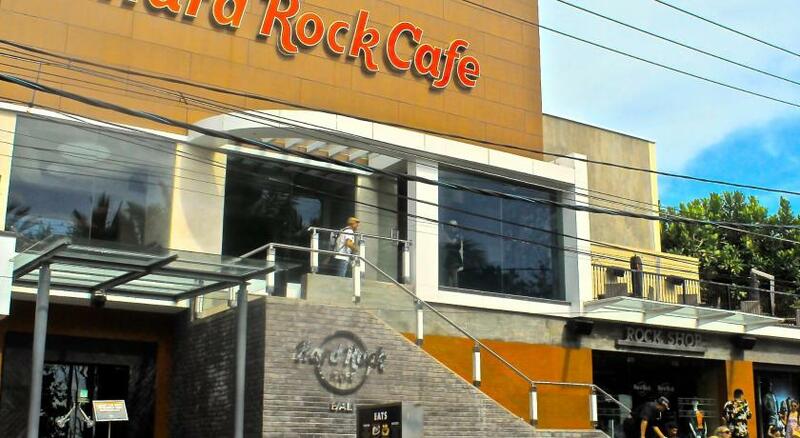 Very good location just next to the beach and few minute to shopping mall. All staffs are really helpful. Breakfast has high diversity to enjoy. Our room did not have a window outside. Pictures are deceiving. The hotel is not right on the beach. Location the most, everything else was also superb. The staff was courteous and services were better than expected.